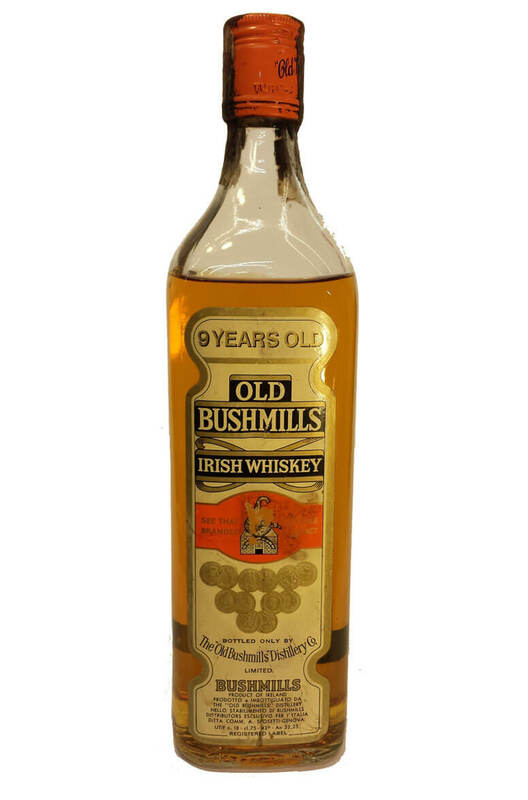 This is a bottle of 'Old Bushmills Whiskey' which was most likely made in the 1950s or 1960s. Made for the Italian market this is 75cl in volume with a strength of 43%. There has been some evapouration as can be seen from the photo.